Seattle Essentials. Mama + Baby. I couldn't survive being in Madison Park, Seattle without these few items. Jon and I travel over for work and pleasure quite often and Vienna and I are without transportation. Luckily my amazing Indy Stroller by Bumbleride gets us anywhere we need to go! It fits Vienna's Maxi-Cosi 'Micro Max 30 Car Seat so I can transfer her smoothly between the apartment and stroller or car. 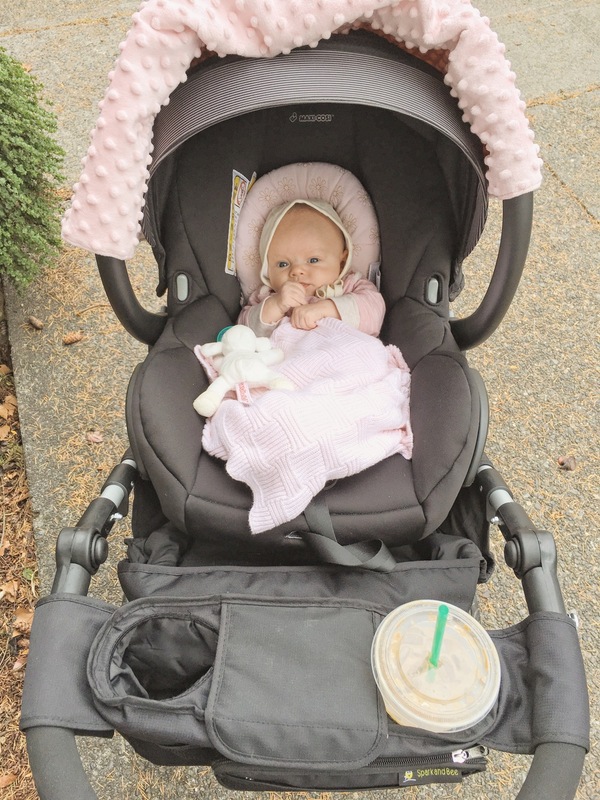 Another one of my favorites is the Spark and Bee Universal Stroller Organizer. It holds any-and-every thing I want to pack along. I can easily store my phone, keys, cash, chapstick, coffee and a bottle. With this tremendous trio we roam Madison Park as if it were our playground! I can go for vigorous jogs in the morning with her, and I can go for a casual walk down to Lake Washington and get some much needed Vitamin D + wiggle time.